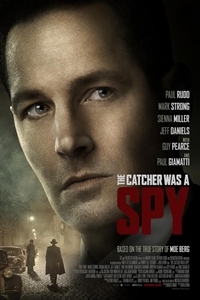 Synopsis: In the midst of World War II, major league catcher Moe Berg (Paul Rudd) is drafted to join a new team: the Office of Security Services (the precursor to the CIA). No ordinary ballplayer, the erudite, Jewish Ivy League graduate speaks nine languages and is a regular guest on a popular TV quiz show. Despite his celebrity, Berg is an enigma - a closeted gay man with a knack for keeping secrets. The novice spy is quickly trained and sent into the field to stop German scientist Werner Heisenberg before he can build an atomic bomb for the Nazis.